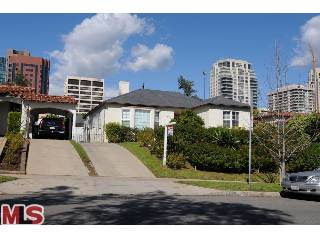 The home at 10849 Rochester Ave., LA CA 90024 received a price reduction of 3.79% or $55,000, down to $1,395,000. The latest listing period started 8/17/09 for $1,450,000 and has been on the market 91 days as of today. Prior to this listing period, the home was on the market for 165 days with a price starting at $1,699,000. According to the Public Records, the home is a 2 bedroom / 2 bath, 1,947 sq ft home on a 6,500 sq ft lot. But according to the seller, the home is a 3+2.5 with the square footage being larger than the public records.